We don’t go out for Mexican a lot. Mostly because Mark isn’t a huge fan of Mexican cuisine. When we do go out, I almost always order chicken enchiladas with green sauce. My friend Jen showed me how to make chicken enchiladas using fresh ingredients – including the green sauce. Mark is now a fan. No disrespect to the canned sauce, but WOW what a difference in taste when you make your own sauce. It’s definitely worth the effort and makes enough for two 13×9 casseroles which is plenty for a party OR enough to eat right away and freeze for another meal or two. The sauce couldn’t be easier to make. 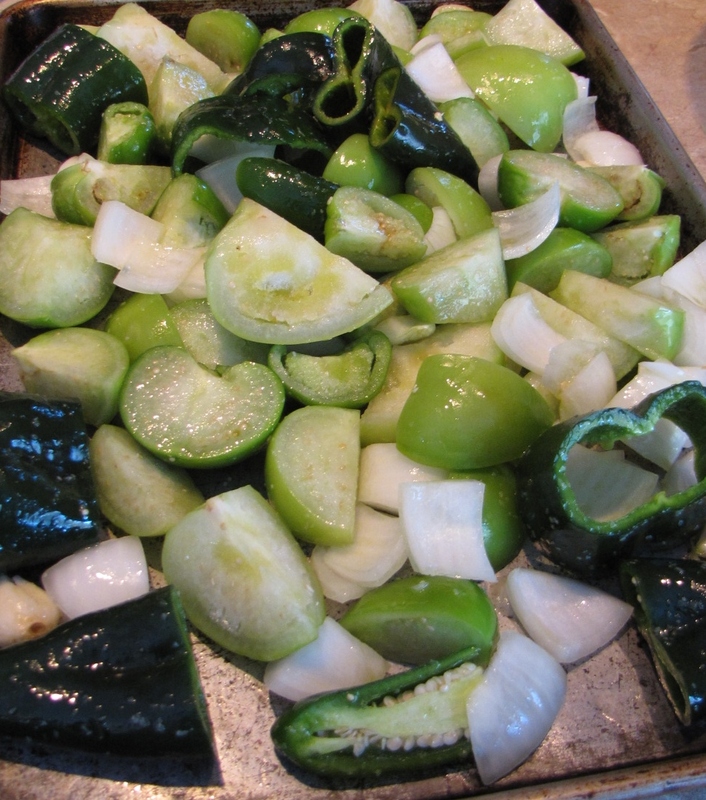 Roast tomatillos, poblanos, onions, jalapenos and garlic that are tossed with some olive oil and salt until tender. Once the ingredients are soft, process with a handful of cilantro. Add salt as needed. That’s it. Couldn’t be easier. This is the sauce you’ll use to dip the lightly fried tortillas in for your enchiladas. This sauce is great for huevos rancheros and chilaquiles too. 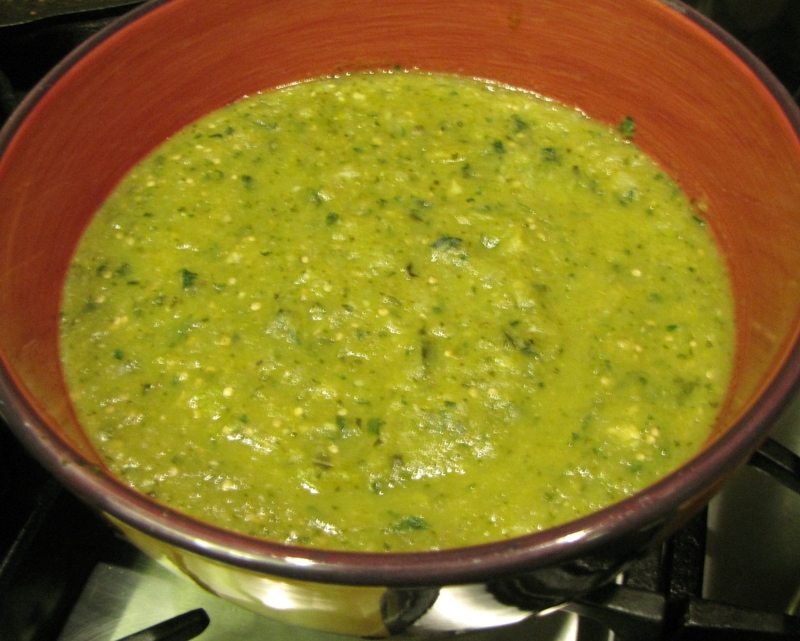 A recipe for green enchilada sauce using roasted tomatillos, poblanos, onions, jalapenos, garlic and cilantro. Heat oven to 400F. Toss the vegetables, except for the cilantro, in some olive oil and salt. Place on a rimmed baking sheet and roast until tender, about 40 minutes. Blend or puree in a food processor with the cilantro. Add salt to taste.